NEW WEBSITE! PLEASE VISIT HTTP://WWW.COPYPAGES.ORG FOR ALL FURTHER PROJECTS AND UPDATES. Featuring Nathan Walker and Victoria Gray. April – June 2012, live event 18th May 2012. 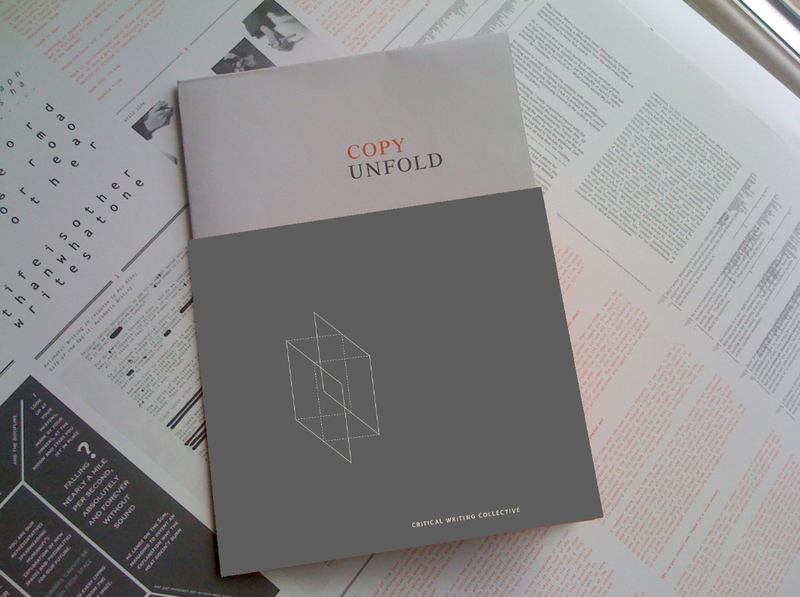 Throughout March and April 2012, COPY // unfold was exhibited as part of Bookstore at Drift Station, Nebraska USA. 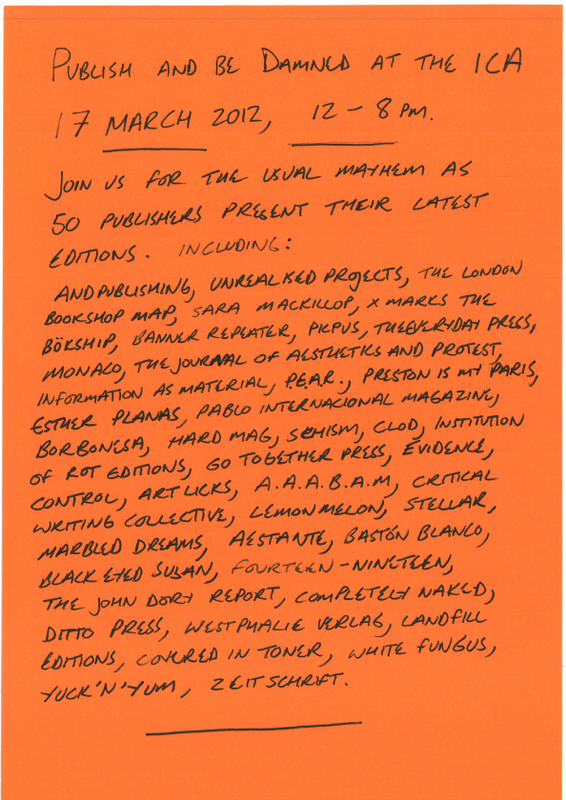 COPY took part in the Publish and be Damned Fair at the ICA, 17th March 2012. Read more here and see us interviewed for the ICA Publish and be Damned video here. 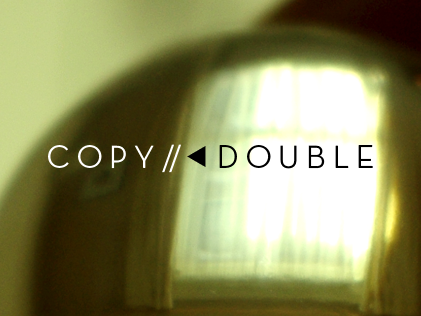 COPY // invitation is the first part of an ongoing writing project produced in collaboration with East Street Arts Leeds. An interview between Joanna Loveday and Indivisible founder Adam Young took place ahead of (in)Xclusion, a 24 hour live art event at East Street Arts, and will be circulated at the event. 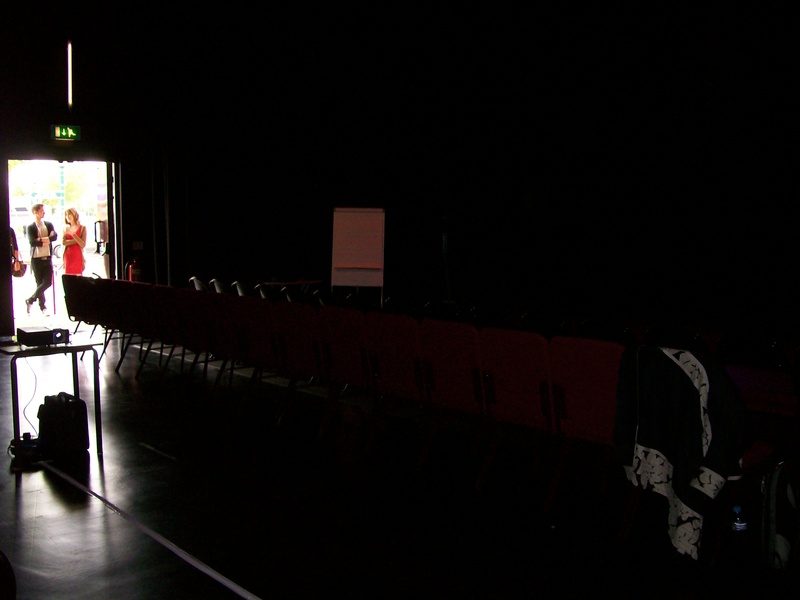 A second text will be published in response to the event, including audience response and feedback. Read more here. 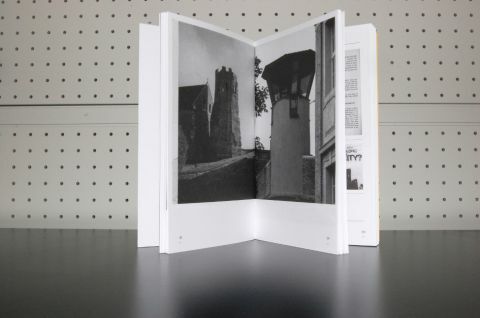 COPY unfold was launched in December 2011 at S1 Artspace with an introduction by Joanna Loveday and Charlotte A Morgan followed by presentations, performances and readings from Emma Cocker, Daniel Fogarty, Joanna Loveday, JDA Winslow & Paul Wright. See our Facebook page for event photos. COPY have commissioned seven writers to cover New Contemporaries, Northern Art Prize, International Print Biennale, Manchester Triennial and the Turner Prize on behalf of All Points North. Read completed texts by Kirstie Gregory, Elizabeth Holdsworth, Charlotte A Morgan, Catherine Spencer, Mary Margaret Rinebold, Chloe Reith and David Steans online here. 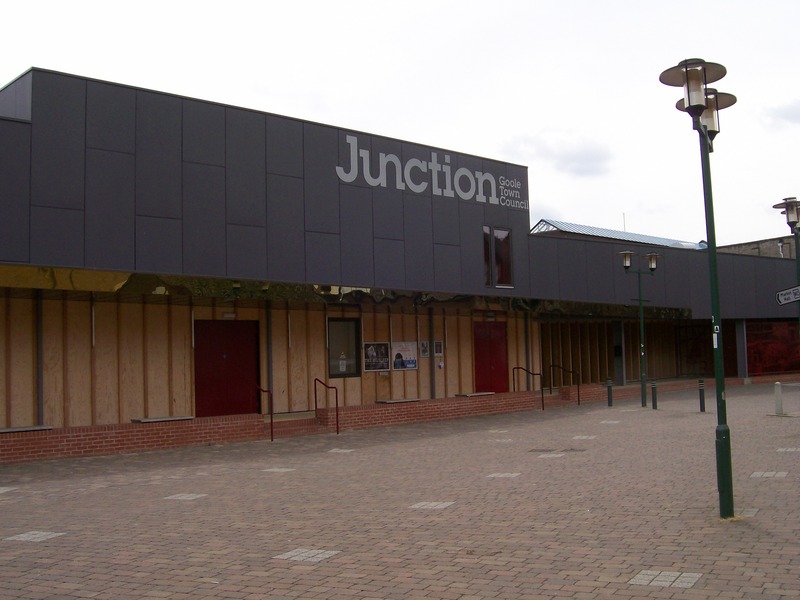 Critical Writing Collective were invited to attend Sunday Lunch Club, a Proto-Type Theatre peer networking project at Junction, Goole in June. Critical Writing Collective have been invited to cover Degree Show activity in Yorkshire for a-n along with Millpond, Jotta and Q-Art London. Read their texts and interviews here. 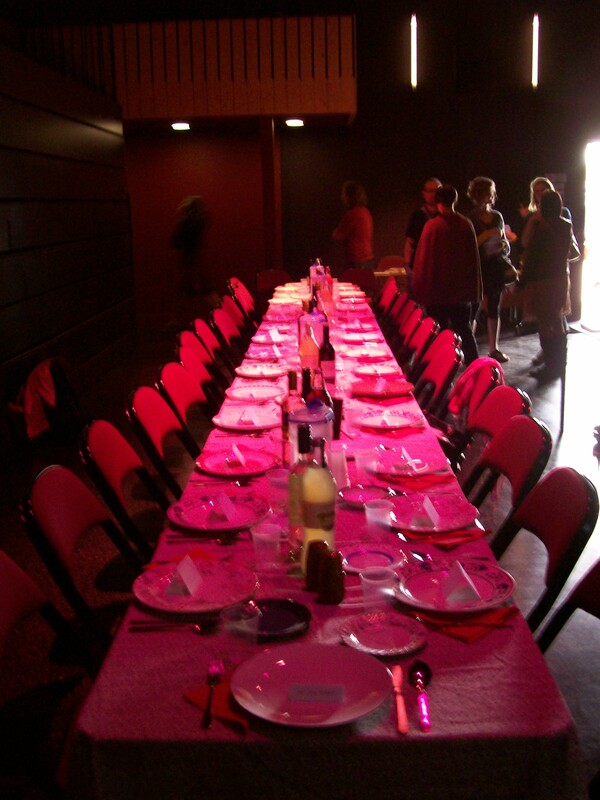 In March 2011 Critical Writing Collective were awarded a NAN Go and See Bursary for research and development by a-n. Details of their research trips including meetings with Andy Abbott, Antepress, VerySmallKitchen, AND Publishing and An Endless Supply can be found at the CWC a-n blog. Richard Taylor discusses Critical Writing Collective in Outside Academia, online at a-n.
Critical Writing Collective were invited to host a table at the a-n event AIRTIME Sheffield, held at at S1 Artspace on 15th April 2011. 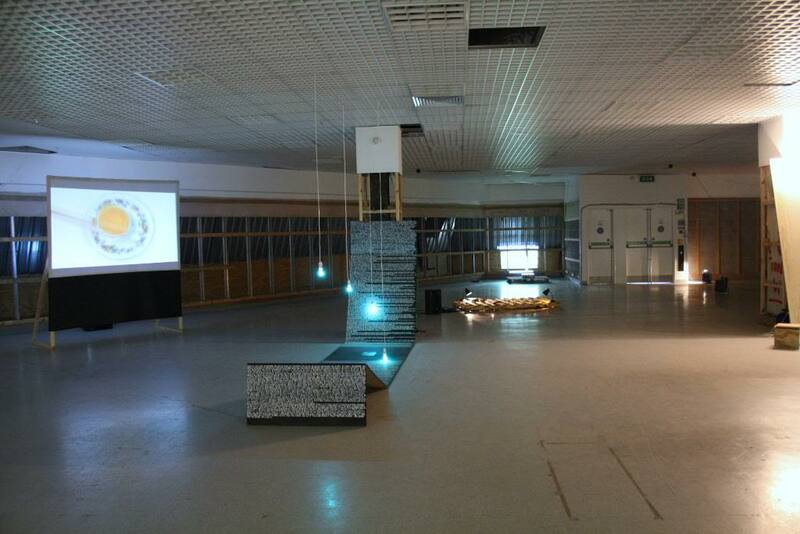 Charlotte Morgan discusses Critical Writing Collective on a film made by Axis at S1 Artspace. Meet the artists – S1 studio holders from Axisweb on Vimeo. Leeds based group Millpond discuss COPY at The Plaza Principle in an in depth article by Elizabeth Holdsworth and an essay in hindsight from guest writer Bruce Davies. a-n Magazine’s Richard Taylor invited Charlotte Morgan to talk about Critical Writing Collective and her approach to writing within art practice. Read the interview here. Good to see what you are doing, following; looking forward to inspirational updates.